Goldfish are some of the most widely studied and understood of all of the popular pet fish species, however, there are still a huge number of myths and misconceptions that cloud people’s understanding of them. For instance, do goldfish really only have a memory span of a few seconds? This is one of the most commonly stated goldfish “facts,” and one that is totally inaccurate! Read on to learn more about some of the most common myths and misconceptions that surround keeping goldfish, plus the truth behind them. Don’t believe these goldfish myths! This is probably one of the most commonly quoted goldfish myths, and is often used as an excuse to keep goldfish in a small, boring tank! Goldfish do not actually have three-second memories. In fact, goldfish can recognize other fish, their environment and even the times that they are fed and who feeds them and retain memories for at least three months. 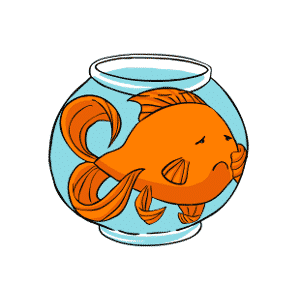 While it is true that goldfish kept in poor conditions will not thrive and may well die before they reach the age of two, in reality, healthy and properly kept goldfish can live for upwards of ten years! You should view your goldfish as a long-term pet, and not something that will be gone from your life within a year or two. While goldfish can live on plants alone and are often referred to as herbivores, in reality, goldfish are omnivores, meaning that they can and will eat both plant and animal material. 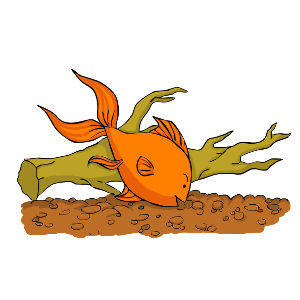 Goldfish like to scavenge, and as well as eating plants, they will eat detritus that they find on the floor of their tanks or in the ponds and lakes they live in. 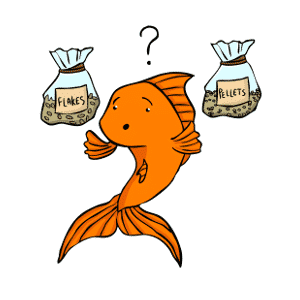 The store-bought complete goldfish foods that most of us feed to our goldfish contain both plant matter and animal matter. Up until around ten years ago, it used to be very common to see one or two small goldfish kept in a small round bowl, with no aeration or filtration and only physical tank cleaning and water changes used to keep the bowl clean and oxygenated. 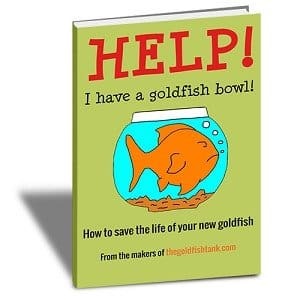 However, goldfish produce a lot of waste, much more than the average small bowl can handle, and goldfish kept in these conditions will certainly not thrive. Goldfish require a large enough body of water as their home to be able to go about their natural behaviors, and adequate filtration and aeration to keep the water clean and healthy for them. A small, still water tank is not an appropriate home for even the smallest of goldfish! Find out how many goldfish can be kept in your tank!